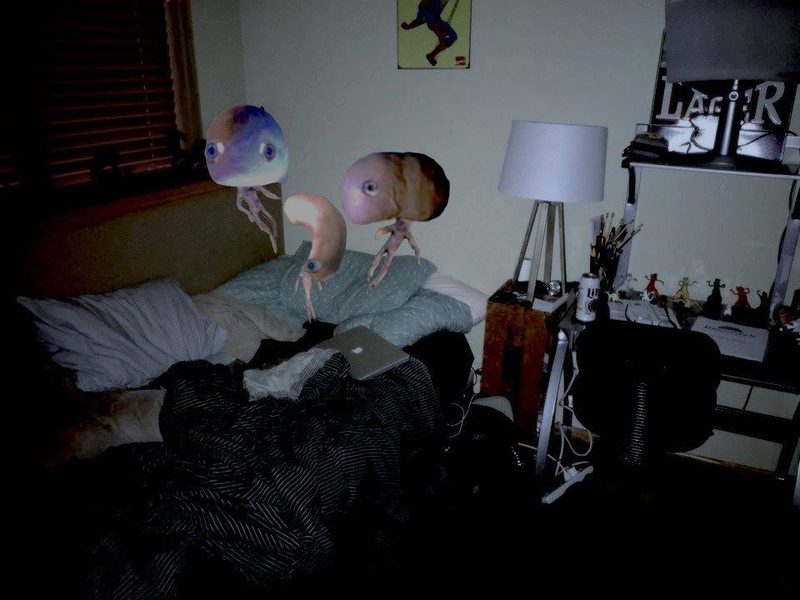 Caught a quick photo of these three visitors over my bed with my phone. They've been scratching on my walls for hours. They didn't notice me until I took the photo... I better get out!